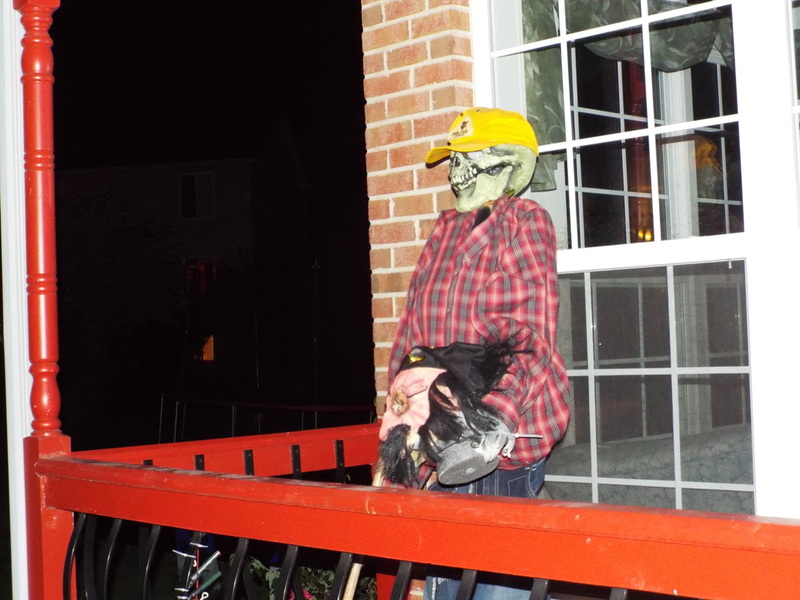 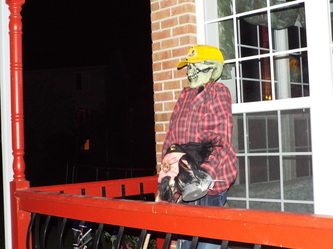 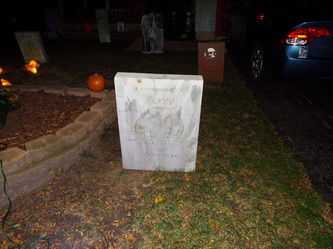 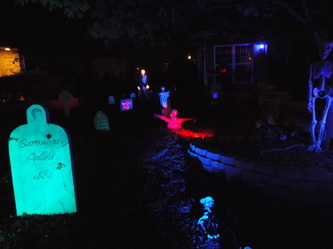 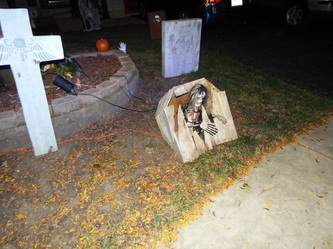 Lakewood Valley Horrors is a small yard display located in Aurora. 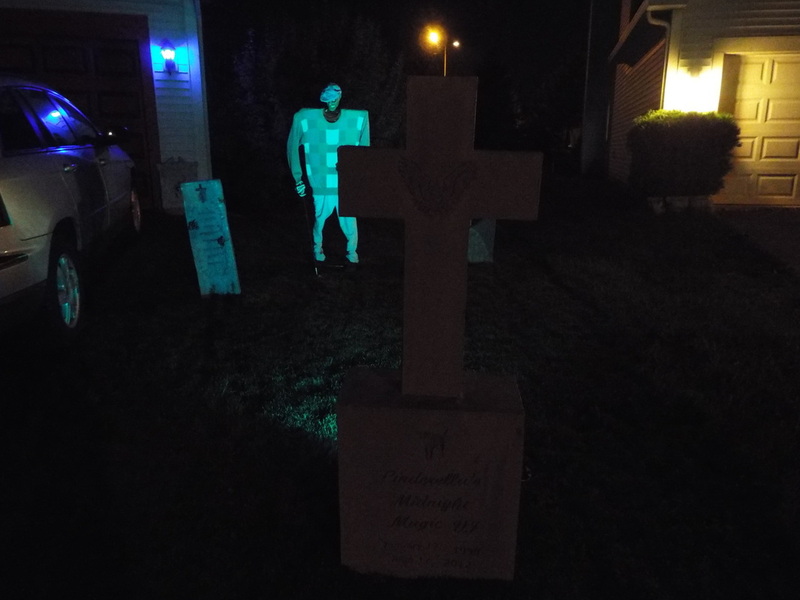 Since we at Horror Tourers like to look at new haunts when we can, we made a point of visiting this haunt when we were in the area. 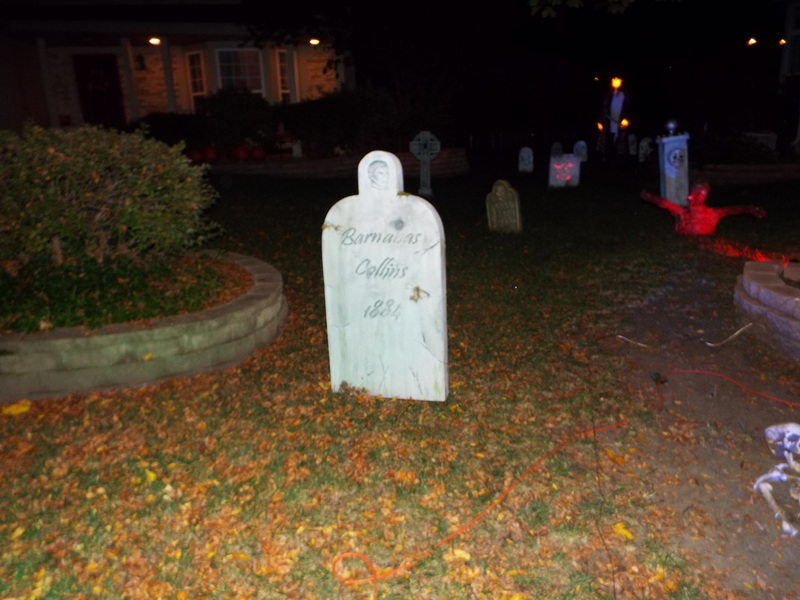 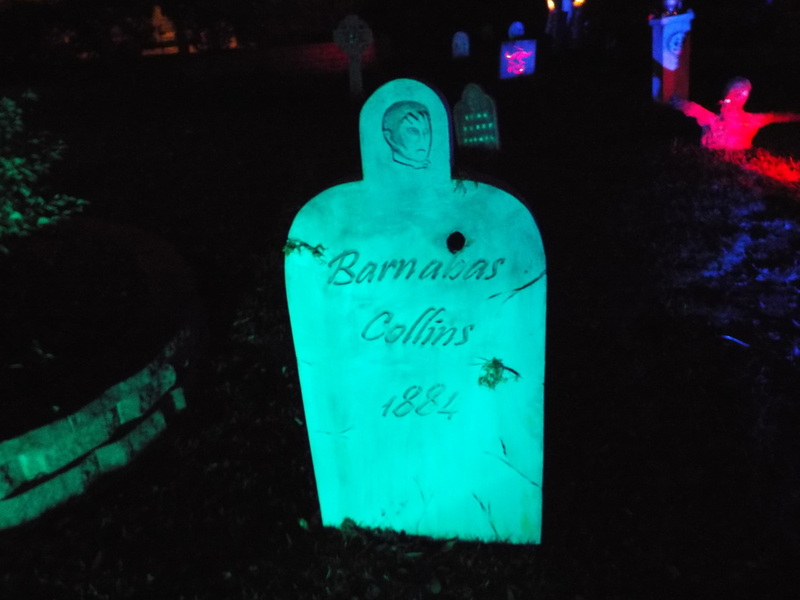 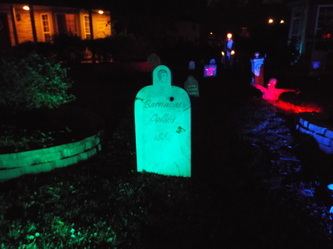 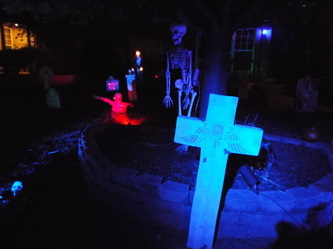 Basically, the display consists of several tombstones, skeletons, and other props, all eerily lit with red and blue lighting. Although there is not a huge amount of props, what is there is effectively displayed. 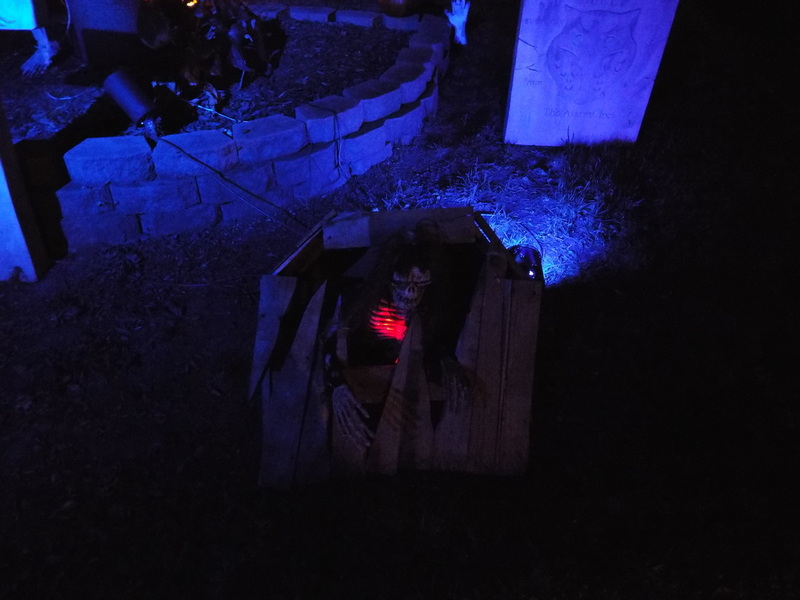 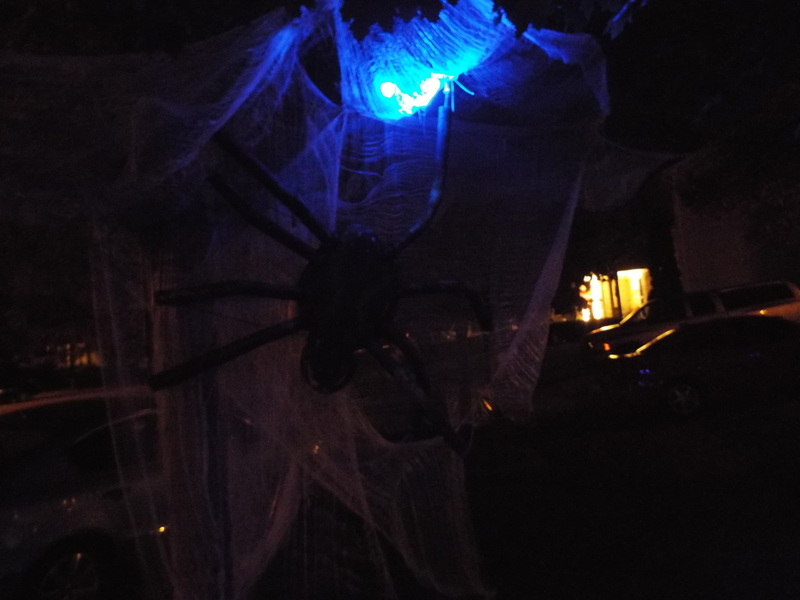 For example, there is the top half of a coffin popping out of the ground with a skeleton emerging from it, a glowing pirate figure standing in the background, over a row of tombstones, and a giant spider in a web hanging from a tree. 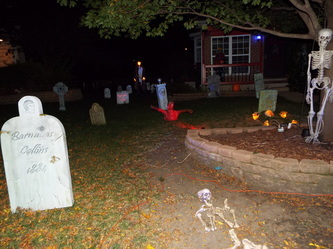 Other items of note include teo large figures, one to the right of the display and the other on the porch, that appear to be skeletal golfers - not something you see every day at a haunt - as well as a large tombstone for Barnabas Collins, complete with a stylized engraving of his face, as a nod to the character from the 60's soap opera Dark Shadows. 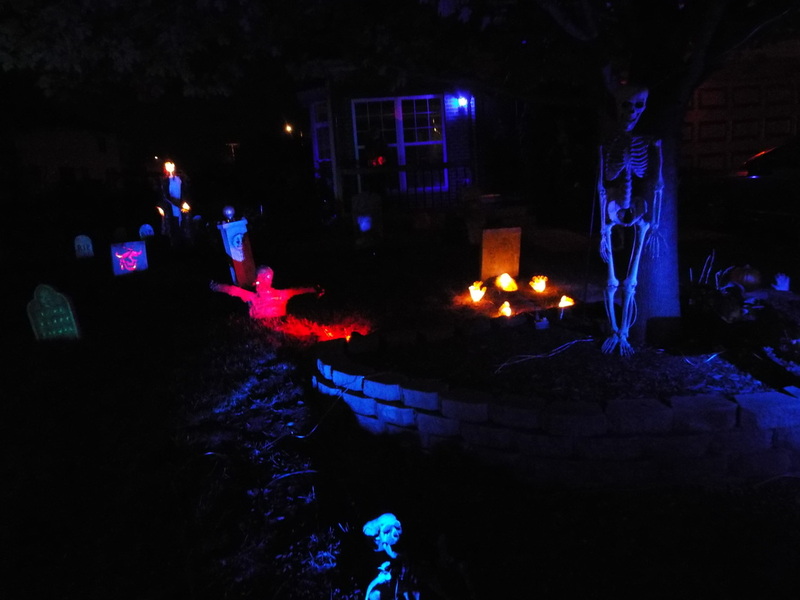 Overall, the red and blue lighting make the entire display stand out, especially in the dark. The display is also family friendly, as it features no gore or blood, so if you're in the area are looking for somewhere to go that won't scare the kids, this would be a good choice. 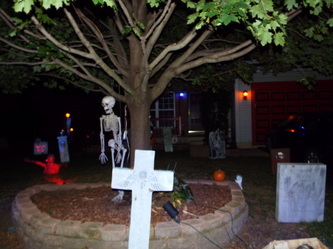 While the display is small, what is there is creative and interesting, so it's worth checking out.